Misrepresentation of unemployment benefits in Minnesota is a scary phrase. This is especially true when it is attached to your unemployment account. Since a recent rule change, MN does not freely use the term “fraud” like they did in the past. Even so, the process in reviewing these types of unemployment claims is the same. Luckily, Applicants have rights, which is the intent of many posts and articles herein. From a legal perspective, these terms are nearly the same thing until a Court rules otherwise. But, this is hardly the issue most relevant to Applicants. People who acquired unemployment are concerned with this issue because it means higher monetary penalties and risks being prosecuted under Minnesota’s criminal laws. Again, Applicants have rights and the goal is to reduce a fraudulent claim down to a non-fraud claim. This is important because DEED (Minnesota’s unemployment office) uses different rules when benefits are not misrepresented. Thus, I hope you find value in the following posts and articles about unemployment fraud. 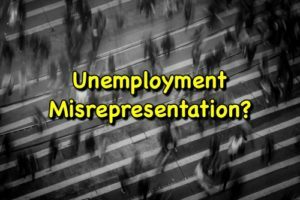 How do I know if I am guilty of Unemployment Fraud MN?